The G.Skill Ripjaws KM780R with Cherry MX Brown switches is $75 at Amazon. Switching to a good mechanical keyboard can completely transform your PC experience, especially if, like us, the majority of your day consists of tapping keys. And today's a great day to try one out for yourself: Amazon’s selling the G.Skill Ripjaws KM780R RGB mechanical keyboard for $75Remove non-product link, an all-time low and $55 off its $130 list price. This keyboard features Cherry MX Brown switches, which offer a tactile bump to help you feel when it’s time to stop pressing down but lack the clickety-clack sound of the popular Cherry MX Blue switches. That makes it a good option for offices or other places where keeping the noise down is important. However, the visual design of this keyboard is very gamer-y so it may not be appropriate for your cubicle. The keyboard has RGB per-key lighting for the gamer that needs LED lighting on all their equipment. 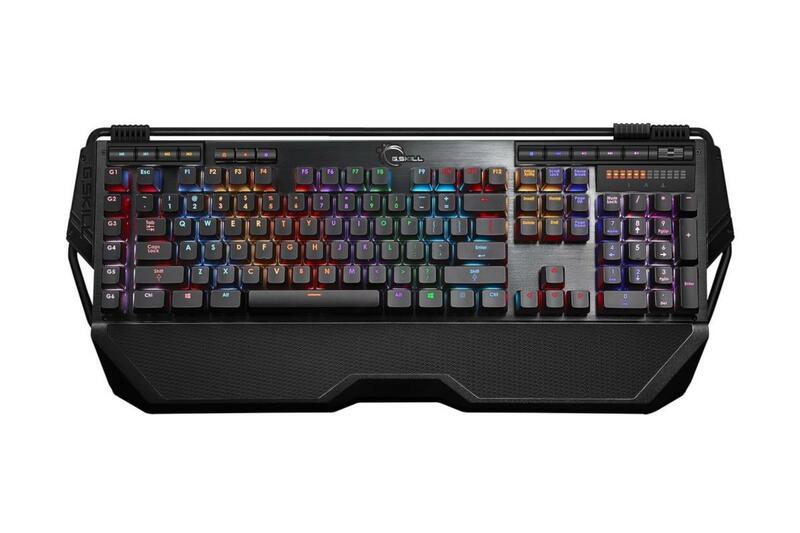 It also comes with a detachable wrist rest, and has dedicated media buttons, customizable macro keys, enough storage space for three different profiles, and compatibility with MSI’s Mystic Light Sync and Gigabyte’s RGB Fusion to sync your RGB set-up with all your other PC gear. We reviewed the KM780 back in April 2017 and named it as an editor's choice. You'll notice the different model numbers—this one has an "R" at the end—but they're essentially the same keyboard, with a few minor aesthetic differences. Mainly, this model doesn't have some of the earlier model's frills, such as gaming keycaps, a puller tool, and a keycap box.